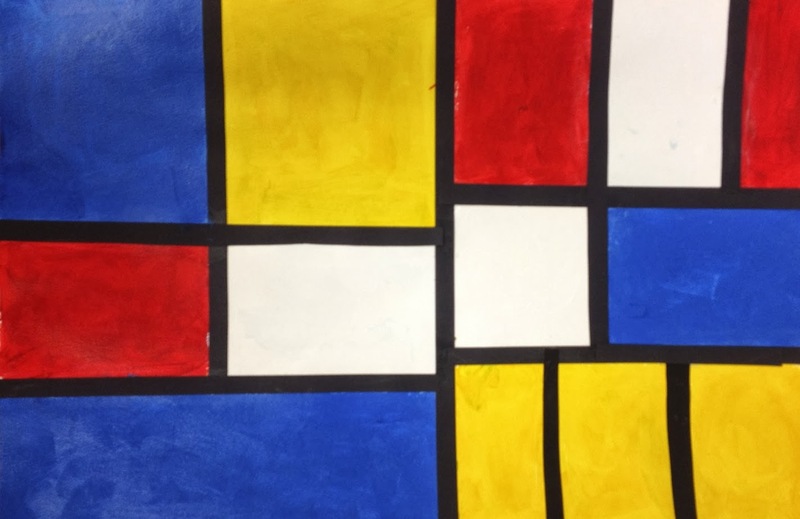 Who else but Mondrian could inspire his classic abstracts? Grade 4 students pulled these off in acrylic paint with black paper strips. There's not one you couldn't frame! Initially we were were going to paint the black lines, but I attempted to do it and I don't know if it was too much caffeine…but those lines were messy. Paper strips it was.